NOTE: Each week kentuckyguard.com publishes stories by Kentucky National Guard unit public affairs historian representatives, also known as UPAHRs. This is an additional duty taken on by a Soldier or Airmen with the intent of telling their unit’s story. This is one such story …. GREENVILLE, Ky. — Last year Kentucky saw record breaking high temperatures throughout the state. 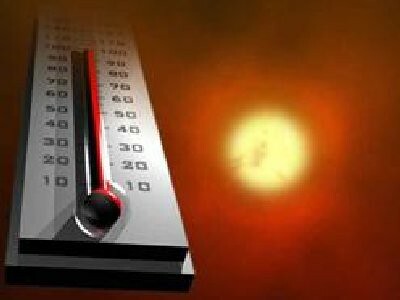 With this heat area hospitals saw several heat related injuries and deaths. Despite the risks members of the Kentucky National Guard fought the danger, continued training and worked through it. Even though he does not expect a record breaking summer all of us should start thinking about being prepared for the heat. In 2011, 13 different units participated in annual training at Wendell H. Ford Regional Training Center in Greenville, Ky. Despite the risky nature of some of this training the weather did not severely effect any of the soldiers. Fort Knox range control also monitors heat categories for training, but the individual units must do their own monitoring. The military as a whole has been focusing on “self aid” and “buddy care” for quite a while now and it seems to be paying off. Soldiers are keeping themselves and their “battle buddy” properly hydrated. This training and good leadership monitoring has drastically reduced the serious injuries and deaths related to heat injuries. Every year you can watch the local news and see examples of heat related injuries and deaths, it becomes clear that what the military is doing has made an impact on soldiers health. It also becomes clear that civilian employers and civilians in general need to take a lesson from the military and apply those “buddy care” principles. 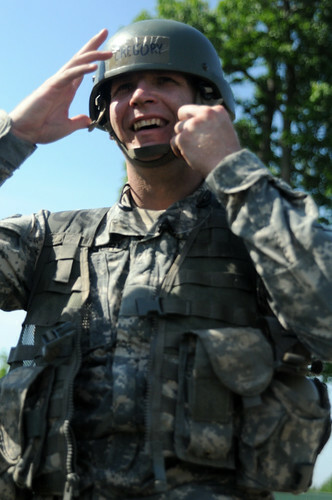 Citizen Soldiers and Airmen should also keep “buddy care” in mind when with their civilian employer or family members. Who knows — the knowledge you share might save a life!